Revise la información de nuestra Casa Abierta. 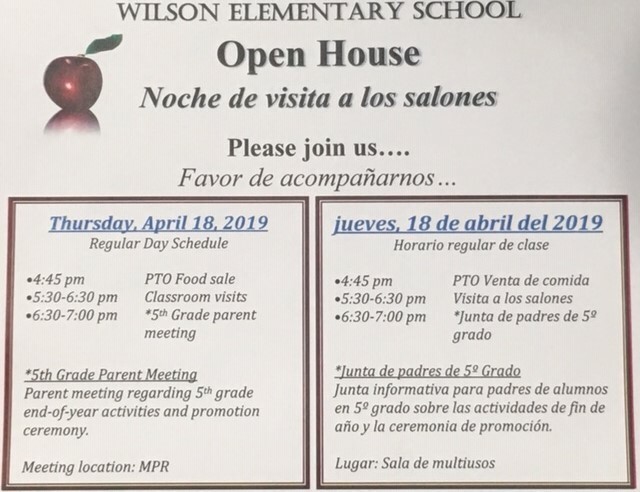 Open House Information. Access Jiji from your home devices! Click on Jiji to learn how you can start using ST Math at home to review and practice math skills. I would like to welcome each of you to the 2018-19 school year, and to take this opportunity to introduce myself. My name is Erica Graves and I am honored to have been appointed by the Board of Education as Principal of Woodrow Wilson Elementary School. For the past 20 years, I have served students and families in the Santa Ana Unified School District in both roles, as teacher and administrator at the Elementary, Intermediate, and High School levels. In preparation for the new school year, I am excited for the opportunity to work with you, your children, and our staff as partners, striving to provide a rigorous and well-rounded education for all students at Wilson Elementary. I look forward to seeing you on the first day of school, Monday, August 13, 2018.